Ask anyone who studies abroad for a semester, especially one who travels as far away as China- there is a lot a student misses while spending time away from the United States. My first week home was filled with visits to Chipotle, my favorite hometown coffee shop, and New York’s Metropolitan Opera, the largest classical music organization in the country. 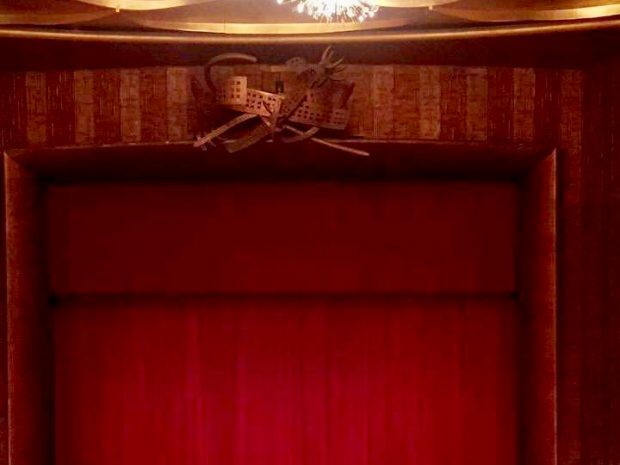 My trip to the Met (not to be confused with the art museum) was, as always, deeply moving, in part because I saw one of my all-time favorites, Verdi’s tragic opera La Traviata. “Maria by Callas” plays at Cinéstudio next week, and this, in addition to my recent trip to one of the world’s most important opera houses, inspired me to ruminate on the impact of the art form in today’s society. Maria Callas, the title heroine of the upcoming documentary film, is a lauded figure in the world of classical music. However, Maria Callas is not my favorite opera singer. Her voice is completely distinct from her contemporaries. The sound she produces is not conventionally beautiful and is, for better or worse, a clear standout. This unique sound is part of what rocketed her towards stardom beyond the confines of the world of classical music. The Metropolitan Opera, a venue for Maria Callas. th her opera career and those around her, and she died from a heart attack in Paris at age 53. During her time, Maria Callas, a glamorous, larger-than-life, yet ultimately tragic figure, became synonymous with the world of opera, in a way that has not been seen since. Luciano Pavarotti, the other most famous face of opera, became popular at the end of the twentieth century for his cross-genre collaborations with well-known names of the time, such as Elton John, Eric Clapton, and even the Spice Girls. However, Maria Callas’ art was entirely attached to the world of opera. She mostly stuck to her genre of music. on any given day will undoubtedly feature an organization, the Met, and opera as an art form, in peril. 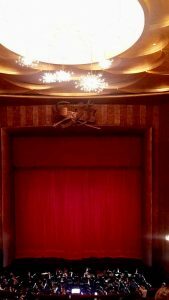 Articles constantly highlight dropping ticket sales and decreased public interest, as this is a major time of change for the Metropolitan Opera. After serving as Music Director for forty years, opera’s biggest name, James Levine, was accused of decades-long sexual abuse during the height of the #MeToo Movement. Far removed from the time of Maria Callas, the modern day Metropolitan Opera has appointed the young conductor Yannick Nézet-Séguin as Levine’s replacement. Nézet-Séguin has guided a steady first season at the Met, his La Traviata proving to be one of the year’s highlights. He is an exciting, dynamic musician, however, it is hard to tell yet whether he will be a force in the industry like Maria Callas was. If opera, especially at the Met, aims to succeed, it needs another Callas-like figure. Currently, however, she is peerless, so I’ll be headed to Cinéstudio to see “Maria by Callas” in the meantime.